Since my dad heard my passion for being a lawyer and critiquing the law when I young and still does, I’m not surprised this is my fourth consecutive blog post about Oregon laws. I took a legal planning course at PSU and have explained traffic laws to many pedestrians, cyclists and motorists in Portland over the past year so I still feel like I’m following my passion for understanding and critiquing the law without being a lawyer. 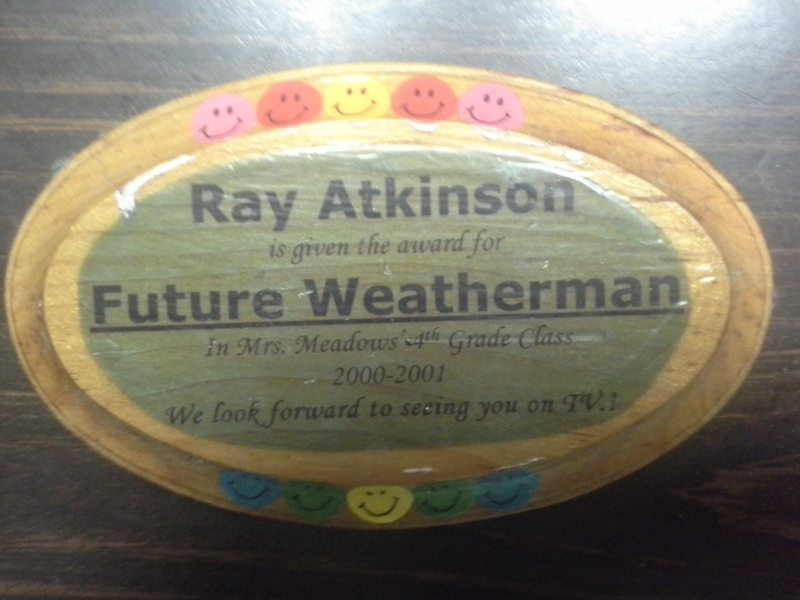 As the below award shows, which I received in 4th grade, I also had passions to be a meteorologist and geographer before switching to geography and urban planning in high school. You can read more about my career shifts in my previous blog post called “Advocating for Automobiles to Advocating for People”. My love for meteorology and geography came from watching weather maps on the local news and reading maps, which I began reading during a family trip to Charleston, SC in the 1990s (I was born in 1990). My dad asked my brother, sister and I who wanted to read the paper map (yes, I was alive before commercial use of GPS started) to navigate our trip to Charleston, SC. I raised my hand first so became and still am the family navigator. 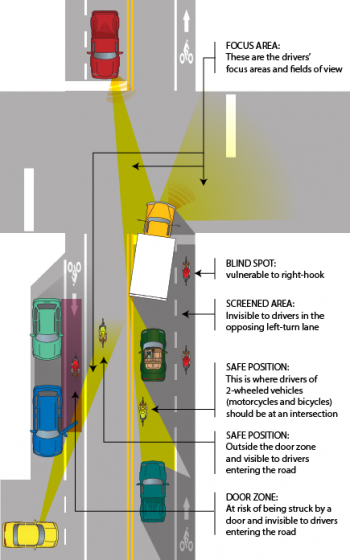 Speaking of navigating, how do I safely navigate my bicycle across unsignalized intersections? The simple answer is to wait until I know it is safe for me to cross. I try to take this approach as often as possible. However, if I always approached unsignalized intersections this way it would take me several minutes to cross the road because most busy unsignalized intersections have a steady stream of automobile traffic. 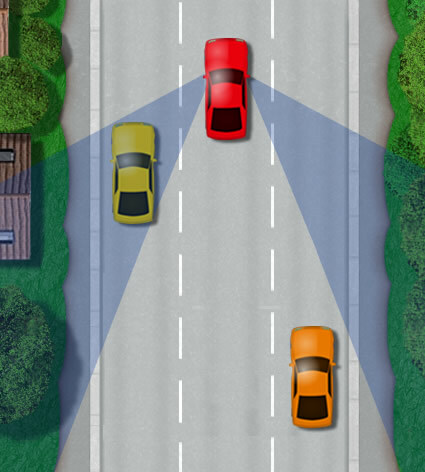 Due to the motorist’s blind zone, which is shown in the blue area in the below image, I wouldn’t feel safe crossing a multi-lane road until motorists in all lanes of traffic have fully stopped their automobile. Instead of all the motorists fully stopping their automobiles, I often find one motorist stopping and waiting for me to proceed through the intersection. Since I don’t immediately go, the motorist often signals with their hands for me to go or honks to make sure I understand they are getting impatient. Even though most motorists in Oregon likely don’t know it, they can be partially at fault for a collision with another vehicle if they encouraged someone to move. A cyclist actually sued two motorists for over $670,000 after one of the motorists hit her and another motorist encouraged the other motorist to proceed. The motorist that encouraged the motorist to proceed didn’t see the cyclist so thought it was safe for the motorist to proceed. This is why I don’t trust when a motorist motions for me to proceed through an unsignalized intersection. 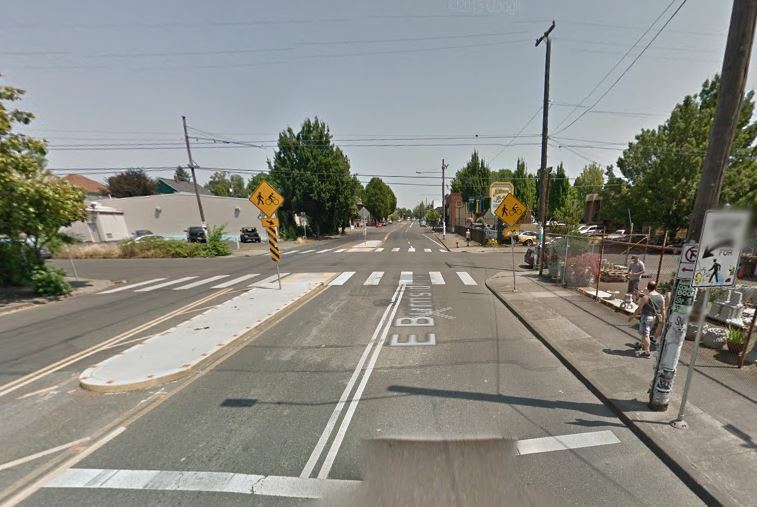 To give you an idea about what type of unsignalized intersection I am having difficulty crossing on my daily bike commute to and from work, I have provided the below street view. SE 16th Avenue through this area has sharrows, marked crosswalks, and yield to cyclist and pedestrian signs so cyclists and pedestrians are encourages to use SE 16th Avenue. However, this doesn’t mean crossing E Burnside St is easier. Even though I don’t feel safe doing it, I have often had to start rolling my bike in front of approaching high speed automobile traffic because the automobile traffic wouldn’t stop unless I forced it to. Once I start recording my bike rides with a GoPro, which I plan to purchase for my birthday this weekend, I will start sharing video of how quickly automobile traffic stops for me at this intersection. 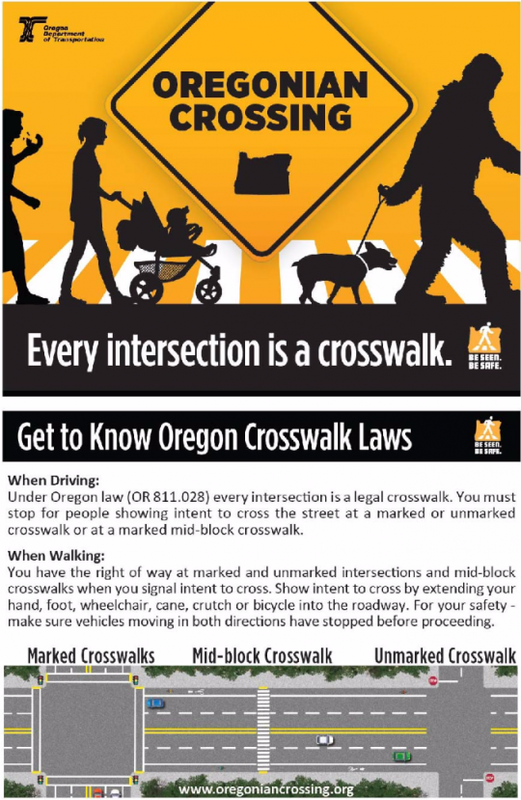 Thankfully, Oregon DOT has started a crosswalk campaign to educate motorists, cyclists and pedestrians about how every crosswalk, including marked and unmarked crosswalks, are legally covered by Oregon crosswalk law. The crosswalk law requires motorists to stop and remain stopped for cyclists and pedestrians at marked and unmarked crosswalks. While crosswalk education is important, I would love to see a HAWK signal installed at E Burnside St and SE 16th Avenue to make crossing E Burnside St easier. Unfortunately HAWK signals are expensive so PBOT and ODOT likely prefer a marked crosswalk over a HAWK signal. 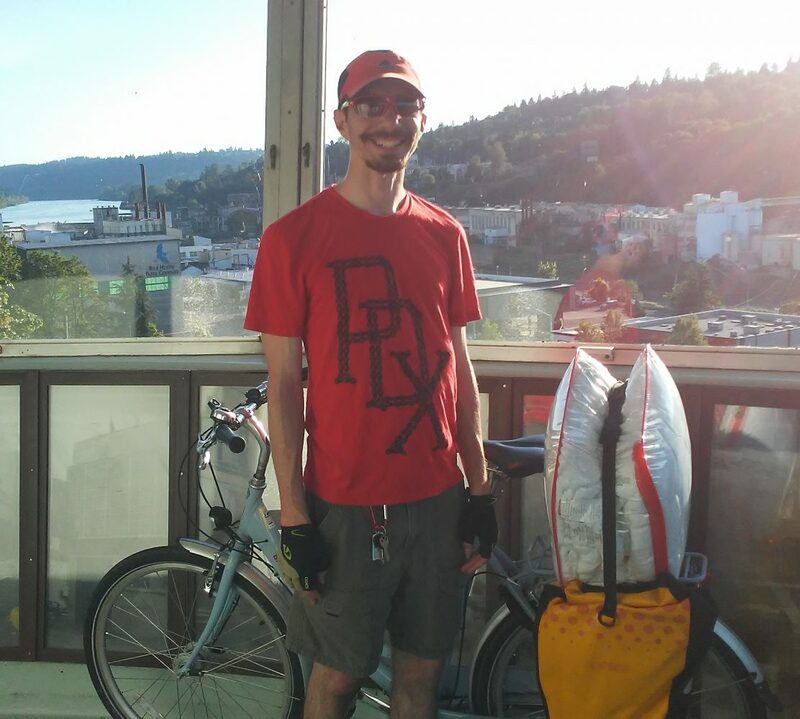 After writing my previous post about how Oregon’s laws are terrible for vehicular cyclists and encountering motorists that have no idea what control and release means when I use it, I wanted to discuss the importance of why I use control and release. Since I’m assuming most people don’t know what control and release is, I have provided the below short video, which was produced by Cycling Savvy. Even though the below photo shows the control signal used by a motorcyclist, I couldn’t find a photo of a cyclist using the control signal. This likely means that few cyclists are using control and release. As I will discuss more later in this post, I didn’t learn about control and release until earlier this year. In case you are still wondering why controlling the lane is safer than always edge riding, Cycling Savvy created this animation comparing the hazards of edge riding with the safety of controlling the lane. Even though I provided the below diagram in my previous post, I want to make sure you understand the need to control the lane before I continue with discussing control and release. While I have been biking daily since freshman year of undergrad (2009) and controlling the lane where it is unsafe to ride on the edge since I learned how to control the lane sometime during undergrad, I only recently learned about control and release. The below screenshot of my post in the Cyclists are Drivers facebook group shows that I learned about control and release in May 2015. My post about control and release in Cyclists are Drivers’ facebook group. I have only taken the League of American Bicyclists’ Traffic Skills 101 course, which didn’t teach control and release, and no courses through Cycling Savvy, which didn’t offer courses in North Carolina until after I moved to Oregon and doesn’t offer courses in Oregon, so my education on how to do control and release has been through the video I shared with you at the beginning of this post and learning by trial and error. My trial and error experiences in Portland have so far resulted in motorists not waiting on neighborhood greenways and choosing to pass me by crossing the double yellow line when the motorists feel they can speed up fast enough to pass me before the oncoming traffic closes the gap. However, I have had at least one successful use of control and release where motorists waited patiently behind me when I used the control signal and didn’t pass me until I moved over to the right and gave them the release signal. When I mentioned in my previous post about how Oregon law should allow cyclists to control the lane on any road and drive as slow as they need to, especially when they are trying to avoid hazardous conditions, I feel education of both motorists and cyclists should be incorporated. Motorists and cyclists should be taught how control and release works. This should result in cyclists being safer and less delay and inconvenience for motorists. I have been thinking about vehicular cycling and the law ever since I started learning how to control the lane several years ago. However, my frustration with the law reached a new peak this week when I read this recently published article about Bicycles May Use Full Lane (BMUFL) signs and attended the Bicycle Transportation Alliance’s Legal Clinic. The first half of this podcast covers almost everything that was covered during the Legal Clinic. My friend Gerald, who is also a vehicular cyclist and President of Bike PSU, and I asked Ray Thomas, who is a bike lawyer with decades of experience, about Oregon’s bike laws. Before I continue, I should mention that I am not one of the vehicular cyclists that is against all segregated bike infrastructure. As my previous blog post discusses, I support segregated bike infrastructure that is safe, especially at intersections, which is very rare or doesn’t exist. The below diagram, which I found on Cycling Savvy, shows reasons why segregated bike infrastructure, especially bike lanes, isn’t safe. This animation, which was also created by Cycling Savvy, shows why lane control is so important for safety. Portland has plenty of on-street parking so I risk being doored while riding on door zone bike lanes every day. Gerald and I were disappointed to learn just how bad Oregon’s bike laws are for vehicular cyclists. Even though neither of us have ever been pulled over by the police or given a ticket for vehicular cycling, we are concerned this could happen because the law is against us. As the below map shows, which I found on Dan Gutierrez’s facebook, Oregon isn’t the only state in the US to have laws against vehicular cyclists. 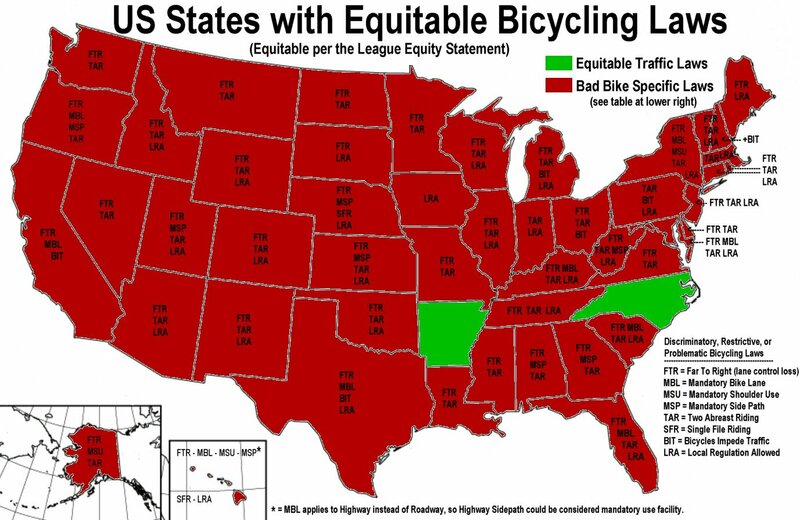 Only two states, Arkansas and North Carolina, have equitable bicycling movement laws. Using this legal bike guide, I will provide specific examples of how Oregon law is against vehicular cyclists. Since I didn’t want to overwhelm readers, I only copied the sections that I felt are most important so the entire statute is not copied. I also bolded the most important words. ORS 814.430 Improper use of lanes; exceptions; penalty. ORS 811.425 Failure of slower driver to yield to overtaking vehicle; penalty. While ORS 814.430 legally allows cyclists in Oregon to control the full lane, it limits where and under what circumstances cyclists are legally allowed to control the full lane. ORS 814.430(2)(c) and how it relates to ORS 811.425 concerns me the most. If Oregon really cares about Vision Zero, the speed of the overtaking vehicle shouldn’t matter because the cyclist’s safety should matter more than the motorist’s convenience to get places quickly. Cyclists should be allowed to control the full lane on any road and drive as slow as they need to, especially when they are trying to avoid hazardous conditions. Unfortunately, we live in an automobile dominated society and our laws reflect this.